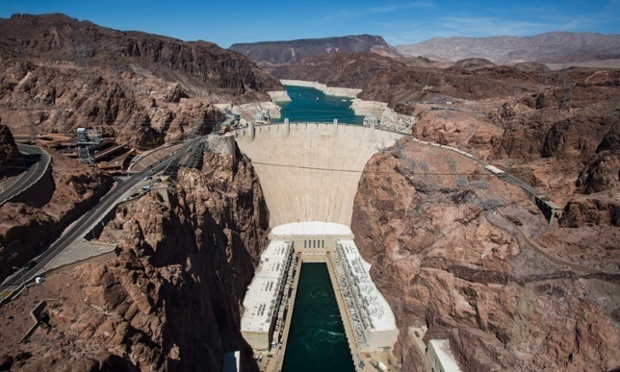 The Hoover Dam, and behind it Lake Mead, which was at its lowest level since it was filled in 1937, near Boulder City, Nevada, US, on 24 July 2014. Jim Lo Scalzo/EPA. The Kariba Dam on the Zambezi was built in the 1950s to power Zambia’s copper belt, as the first large dam funded by the World Bank. Kariba was considered the symbol of a “brave new world”, in which controlling nature would bring quick economic development. Yet the 57,000 people who were displaced by the dam suffered famine and are still impoverished. Dam-affected communities have often suffered repression and human rights abuses. In 1982, more than 400 indigenous men, women and children were massacred to make way for the World Bank’s Chixoy Dam in Guatemala. In a historic breakthrough, the country’s government in 2014 signed a $154m reparations agreement with the affected communities. The Narmada Bachao Andolan (NBA) activists – villagers affected principally by Sardar Sarovar Dam and also other dams on the river Narmada in Gujarat and Madhya Pradesh in India – stand in chin-deep water demanding land to replace land which was submerged after the water level in Omkareshwar and Indira Sagar dams was raised. Sanjeev Gupta/EPA. Peter Bosshard is the policy director at International Rivers. He tweets at @PeterBosshard.